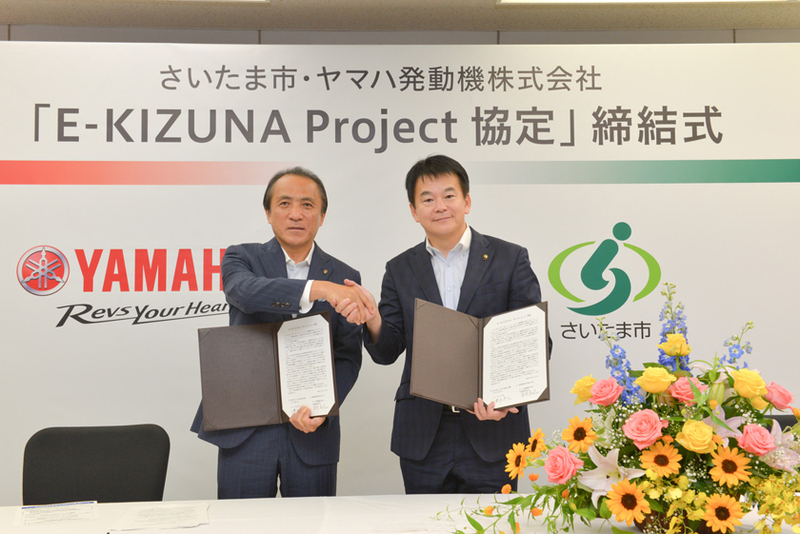 Yamaha Motor Co., Ltd. and Saitama City Cooperate for the “E-KIZUNA Project Agreement” - News Releases | Yamaha Motor Co., Ltd. Details of the initiatives are to be determined through discussions between the two parties, and announced accordingly. Both parties will also continue to work on new initiatives necessary to advance this project. - Promotion of the use of EV motorcycles for official vehicles and commercial vehicles, etc. - Holding of EV motorcycle test-ride events, safe riding courses, etc.